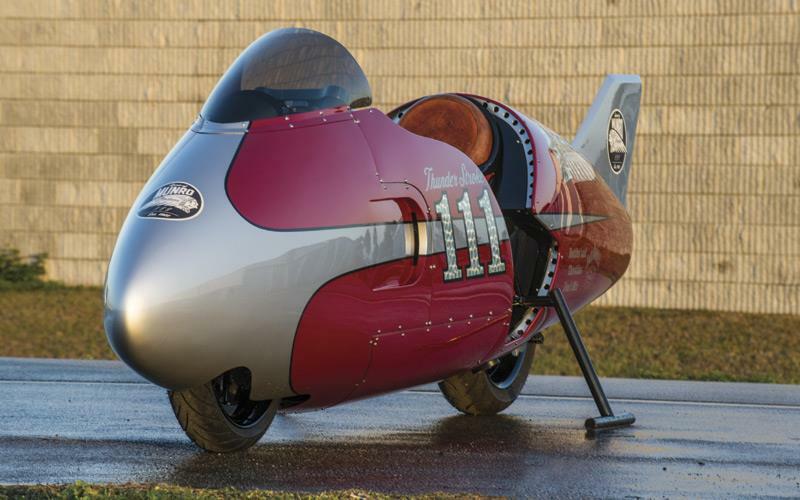 As well as launching a new engine in the form of the 1819cc V-twin Thunder Stroke 111 the firm has also shown off this one-off tribute to the Burt Munro Indian speed record holding machine. Indian is now under the ownership of the massive Polaris Industries parent company and is aiming to completely overhaul America’s oldest motorcycle firm and take on the dominant Harley-Davidson. 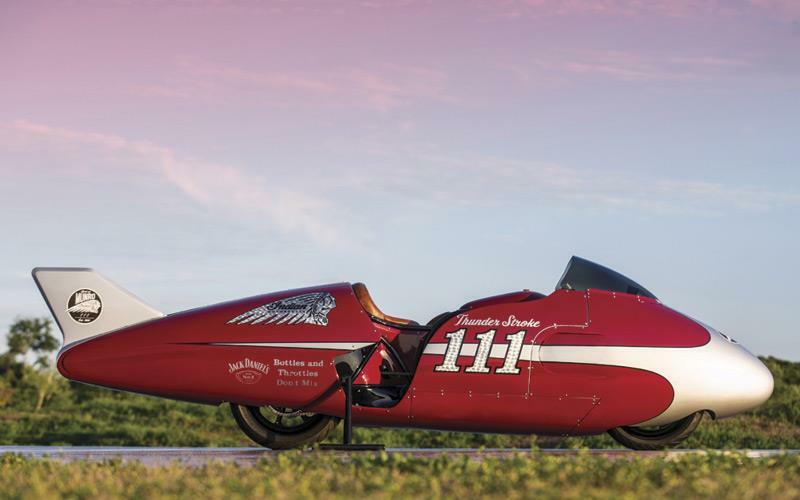 The Indian press release reads: Fully custom-built, the Spirit of Munro is an all-metal tribute to the racers and mechanics throughout history who have collectively built the legacy of record-breaking racing performance and strength that is Indian Motorcycle. “The Munro family is very happy to see such a wonderful tribute to our Father," says Burt’s Son, John Munro. "We see how Dad's passion inspires motorcycle riders to this day, as the Spirit of Munro will surely do for years to come." 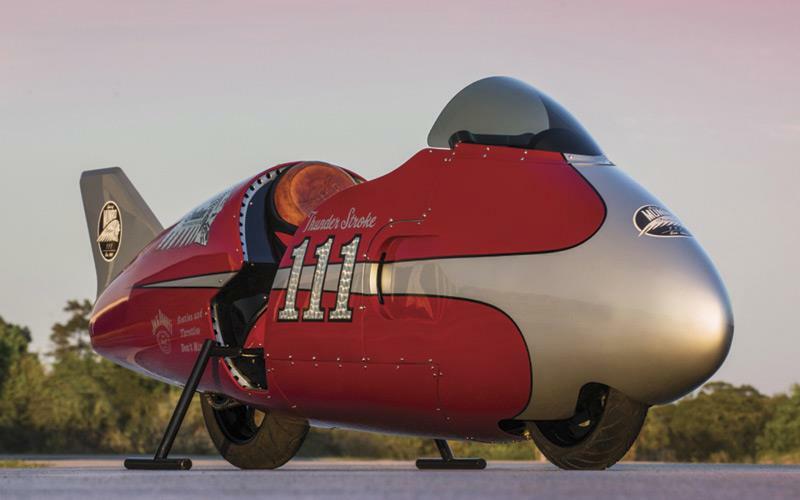 “We are a brand that will always strive to push the envelope in everything we do, so when the idea of building a streamliner to both showcase the new engine and pay homage to the racers, mechanics and engineers of the past landed on my desk, it was an easy decision,” says Vice President of Polaris Motorcycles, Steve Menneto. 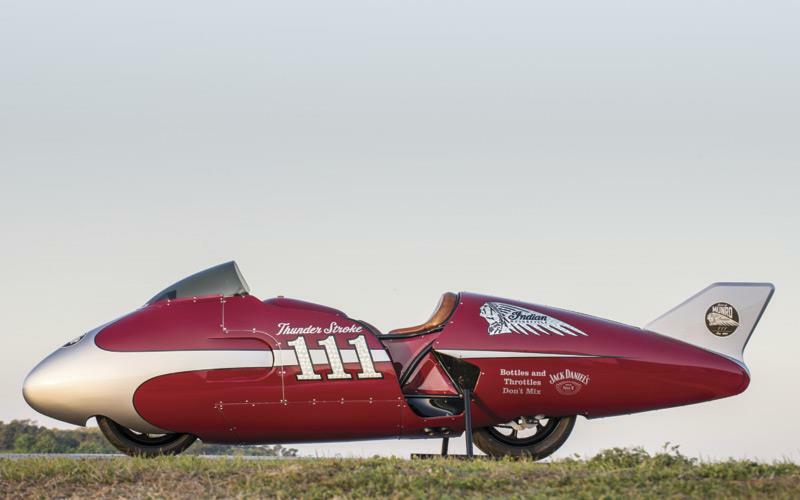 The streamliner was designed from the ground up to house the new Thunder Stroke 111 engine and showcases its awe-inspiring power and performance. The Spirit of Munro is not simply a display; it was built to run. A custom exhaust and intake system is mated with a chain drive conversion to allow for the tall gearing necessary for top speed runs. 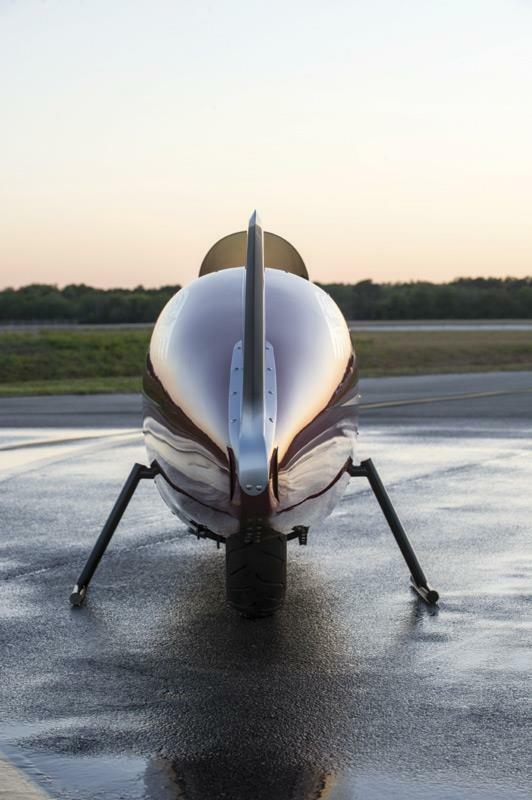 The all-aluminum bodywork was hand-formed using traditional tools and techniques. Wrapped around the modern Thunder Stroke 111 engine is a custom chassis capable of handling top speeds. “Part of the process of building a new motorcycle is building many pre-production and production test engines,” said Gary Gray, Product Director for Indian Motorcycle. “The Indian Motorcycle engineering team is fully conscious that every day we are working with history and over the course of design and development many parts and complete engines are built, tested, disassembled and measured. 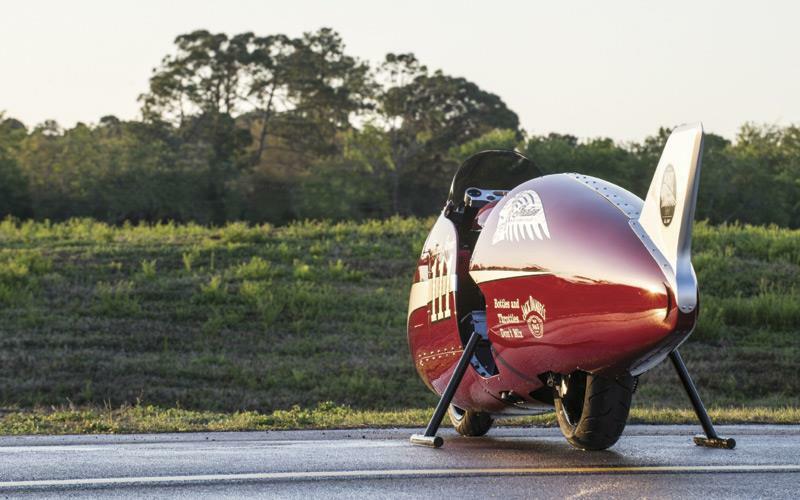 “When the guys from Indian Motorcycle called to ask if I would be willing to play a part in this historic endeavor, I could not say ‘yes’ fast enough,” said Jeb Scolman. “We built the Spirit of Munro in just three months of straight long work days. 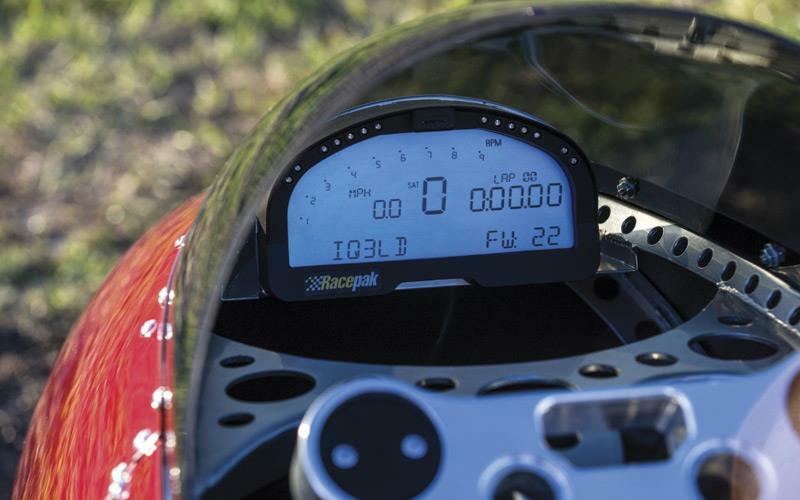 The bodywork was sculpted to reflect seminal machines from history, as well as creating a unique package for rider and mechanicals. 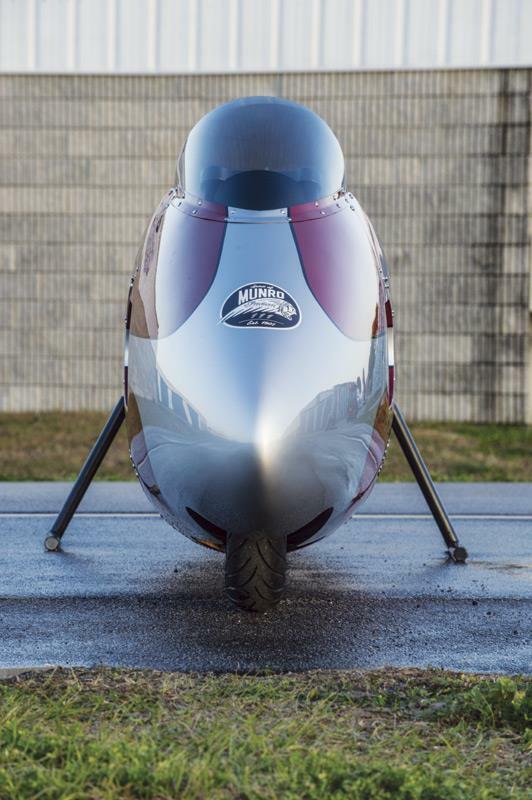 Using aircraft inspired and traditional custom techniques, the Spirit of Munro is a striking tribute to the past, and an irrepressible inspiration for the future of America’s first motorcycle company. 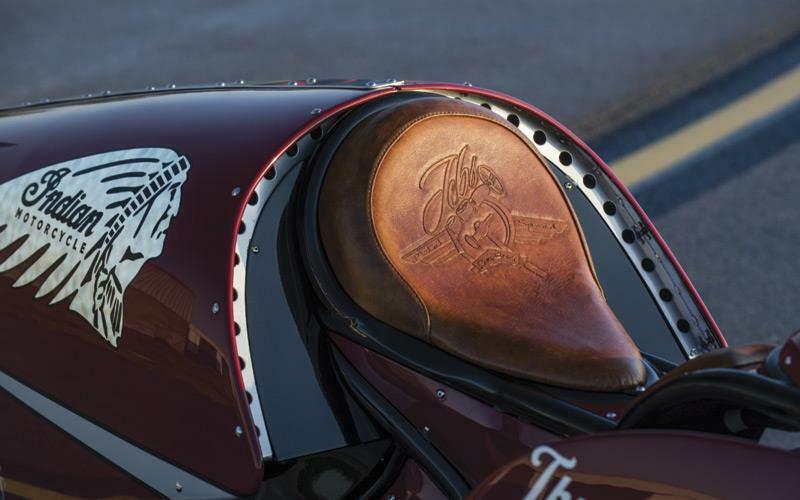 Adorning the tail of the machine is the logo of another iconic American brand, Jack Daniel’s Whiskey who is helping sponsor the motorcycle through their “Bottles and Throttles Don’t Mix” responsibility campaign. Indian Motorcycle and Jack Daniel’s are brands that are forever sewn into the fabric of American history. Both brands stand proudly to represent the best at what they do. 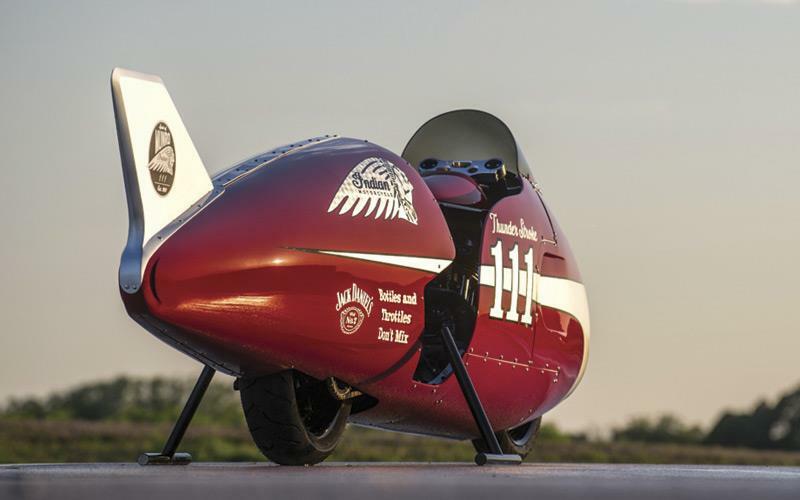 “When the team at Indian Motorcycle shared their plans to build the Spirit of Munro we knew we had to be part of that project,” says David Stang, AVP Events/Sponsorships for Jack Daniel’s Whiskey.